Davao City - The KING'S SWORD SCHOOL OF MARTIAL ARTS & VALUES (or Kingsword) is affiliated with the American Bushindo-Kai Karate Association and teaches American Bushido Karate (which include open hand martial arts, grappling and weapons in the higher rank). 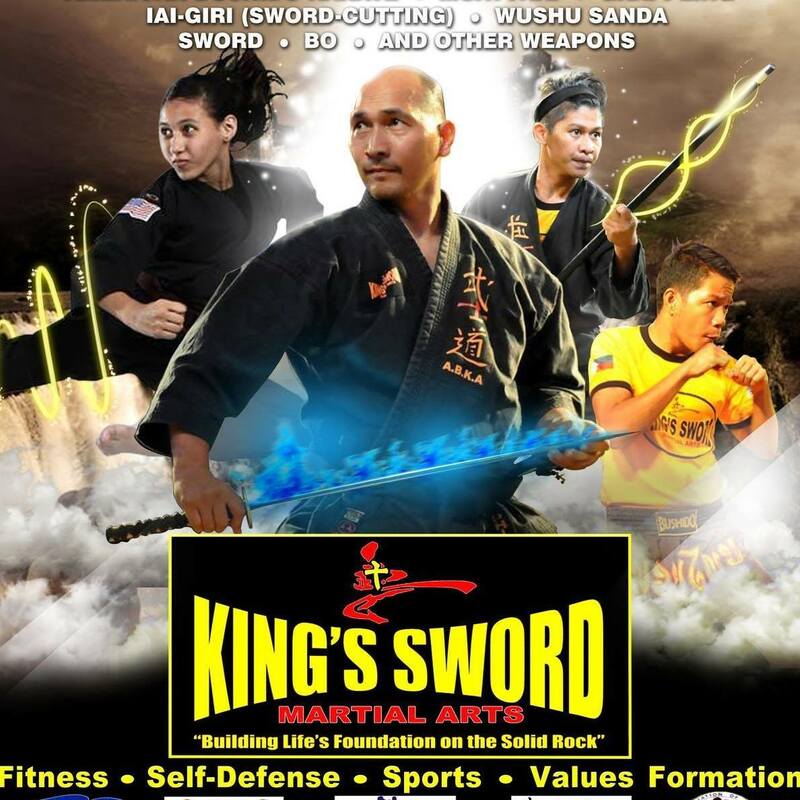 King's Sword also teaches Muay Thai for fitness, sports, and self defense. It is affiliated with Muay Thai Association of the Philippines (MAP) and recognized by Muay Thai Missions (MTM) Thailand. 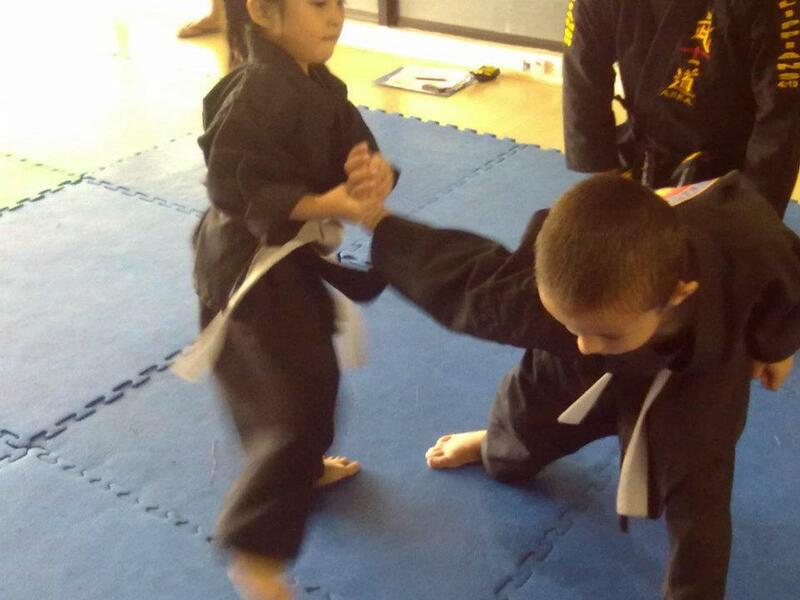 LITTLE WARRIOR MARTIAL ARTS is a program designed for kids 4-7 years old. It is focused more on developing motor skills, muscle strength, flexibility, coordination, character, and social skills by doing partner drills and team drills. This program teaches them that they need friends and a partner to grow and learn as a martial artist and an individual. The drills and lessons are a combination of BJJ and Muay Thai drills, Karate kata/forms, and karate sparring with full gears (optional). This program is open to all ages starting 8 years old and up. In the Japanese tradition, the word Bushido translates to "the way of the warrior." This system evolves and adopts what is practical, beneficial and useful martial arts technique in the ring or in the streets. 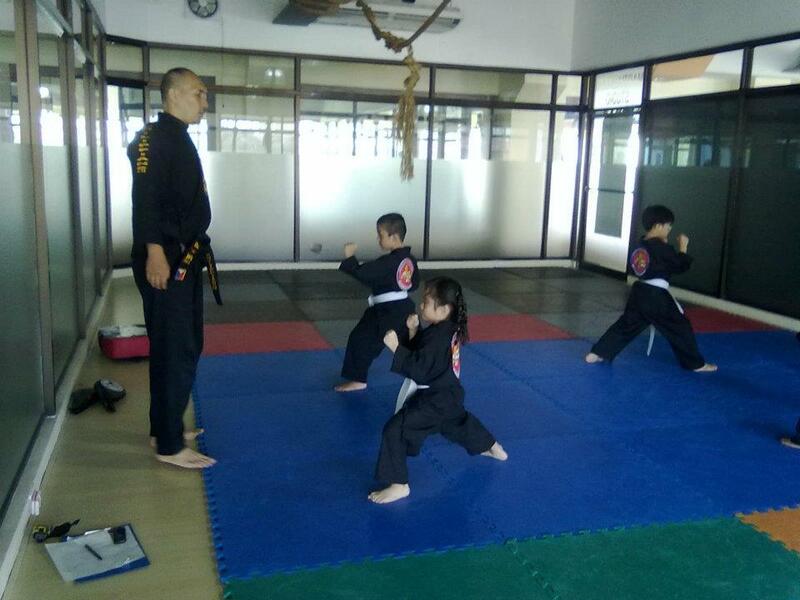 The program consists of a cardio exercise, muscle strengthening, stretching, teaching the karate weapons (kicks, punch, strikes), and the application for self-defense. Kata is also taught for memory enhancement, coordination, focus and preservation of the Karate tradition. This program teaches the simple concept of Xanda where people fight against each other without weapons. It combines full contact kickboxing which includes close range and rapid successive punches and kicks with wrestling techniques, take downs, throwing, sweeping, and leg catching. 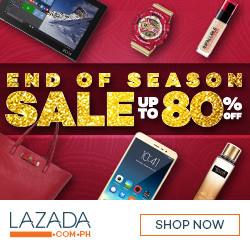 Xanda training makes the body strong and strengthens the bones and muscles. But this does not only improve physical qualities such as strength, endurance ,flexibility but also develops health both physically and mentally. 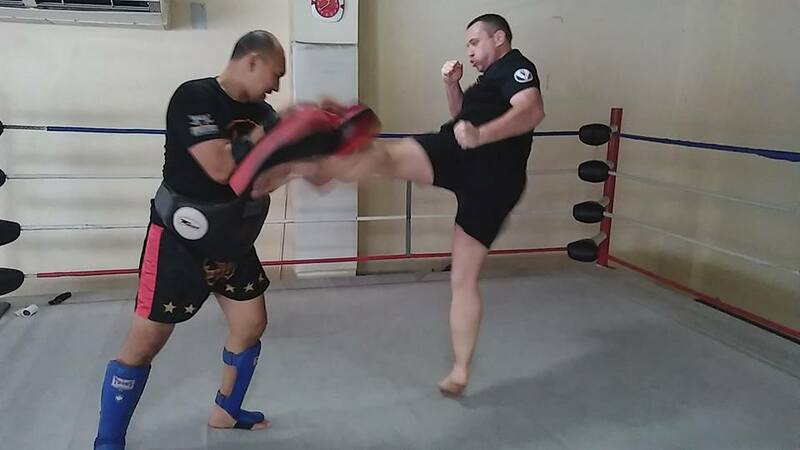 This program teaches the noble art of Muay Thai, also called the boxing of 8 limbs using the fist, elbows, knees, and feet, as a weapon. This is a good program for physical fitness, sports and self-defense. 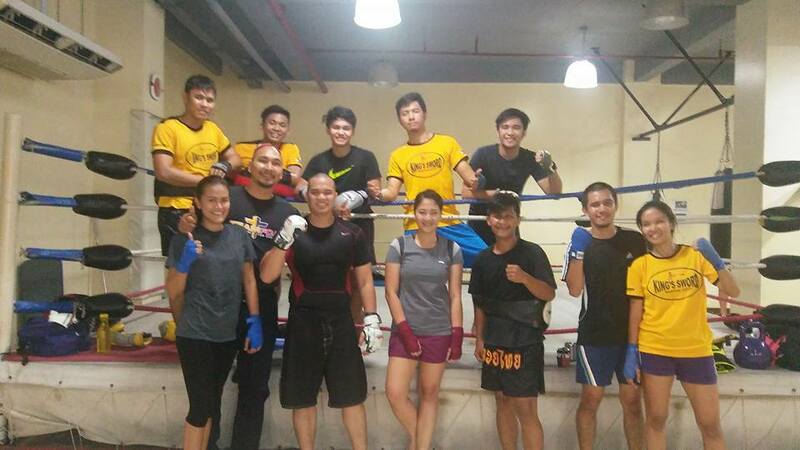 We teach the weapon of Muay Thai, pad works for great condition, and we also do sparring among the students to test their skills and for fun. King's Sword Muay Thai is the chapter head of Muaythai Association of the Philippines (MAP) and Muay Thai Missions-Thailand based on Muay Thai certification and training camp. 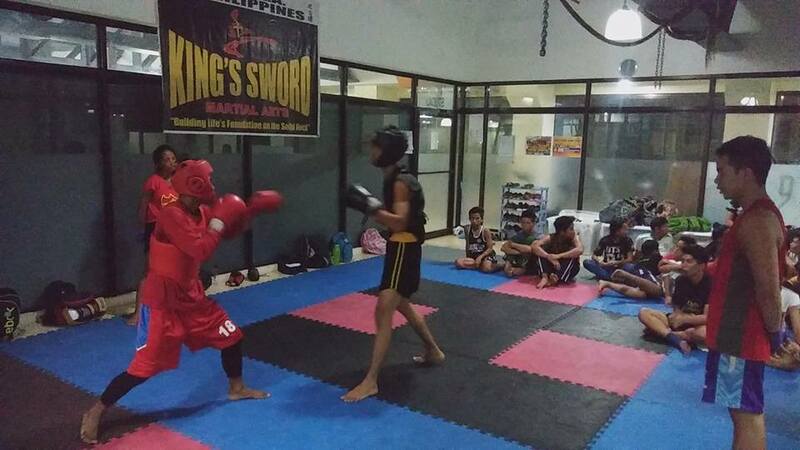 King's Sword Martial Arts has already produced instructors, champions, and national players in Kick-boxing, Wushu Sanda, and Muay Thai.